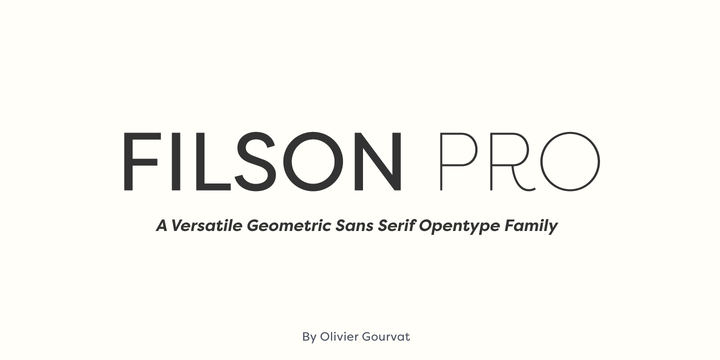 Filson Pro is a versatile geometric sans serif typeface created by Olivier Gourvat and published by Mostardesign that comes in 16 styles, over 500 glyphs and a lot of Opentype Features. With a round aspect of characters, is an excelente choice for web design projects, display, magazine, poster, text etc. A font description published on Tuesday, July 8th, 2014 in Fonts, Mostardesign by Alexandra that has 7,446 views.